Sleep is essential for cellular regeneration and restoration. Poor quality or insufficient sleep results in a reduction in the production of melanin – the hormone secreted during sleep – and this decline worsens with age. The overall result is drawn features, a dull complexion, redness and enlarged pores and an overall older appearance. 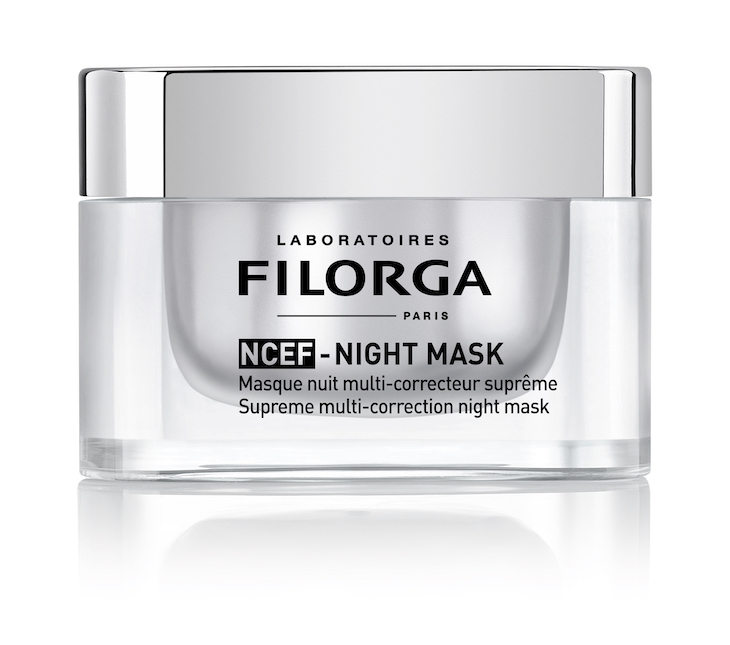 New Filorga NCEF-Night Mask is an ultra-regenerating night mask containing active ingredients directly inspired by aesthetic medicine, which allows users to wake up to visibly younger skin. Filorga’s patented NCTF (New Cellular Treatment Factor) has now been replaced with New Cellular Encapsulated Factor (NCEF), which contains hyaluronic acid and 50 skin regenerating ingredients including vitamins, minerals, amino acids, coenzymes and antioxidants. These ingredients are incorporated in chronospheres, a cutting-edge encapsulation technique that allows the NCEF to be absorbed deep within the dermis of the skin. A wonder trio of Melatonin’CX®, Hyaluronic Acid + Collagen and Red Indigo Extract provide intensive nighttime recovery, correcting the signs of skin ageing by acting upon wrinkles, firmness and radiance. NCEF Night Mask contains a silk tree extract that activates the synthesis of melatonin, a natural sleep regulator, which triggers the skin’s nighttime recovery processes for both protection and repair. This results in less skin sagging and a visible reduction in the telltale signs of tiredness, drawn features and dark circles. A complex of two hyaluronic acid-boosting peptides and endogenous collagen provides a plump-up booster effect by stimulating the synthesis of hyaluronic acid and collagen within the dermis to repair and restructure the skin. The result is a reduction in the surface area of deep wrinkles and visibly firmer skin. It inhibits the production of cortisol, the stress hormone, and triggers the synthesis of B-endorphin, a relaxing neuropeptide. It stimulates the genes involved with the antioxidant processes to combat external aggression and pollution. As a result, the skin is more luminous, redness is reduced and the complexion is clearer and even. NCEF-Night Mask can be used as a night cream every night or every alternative night as preferred. Its enveloping gel-mask texture is quickly absorbed leaving no residue and allowing the active ingredients to be released throughout the night. It can be refrigerated for a boosted smoothing and decongestant effect. 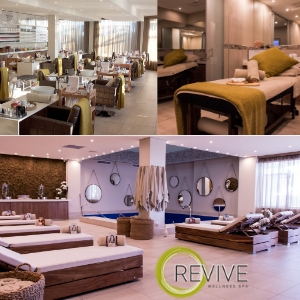 Available at doctors’ rooms, clinics, spas and selected Edgars and Red Square stores nationwide. For a full list of stockists visit www.filorgasouthafrica.co.za or contact 012 548 0725. Previous ArticleDeluxe Laser & Spa: Why Laser Hair Removal is the Perfect Summer Treat!